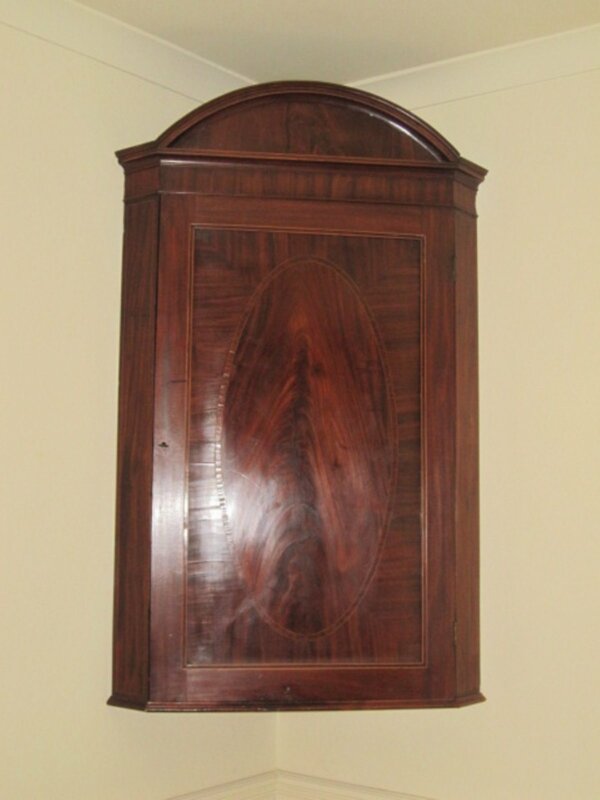 SHERATON MAHOGANY HANGING CORNER CUPBOARD. CIRCA 1780. A FINE LATE 18TH CENTURY SHERATON PERIOD MAHOGANY HANGING CORNER CUPBOARD. GEORGE III, CIRCA 1780. The domed top over a single door with superb oval panel of well figured flame mahogany. Overall box line stringing and with an original painted interior fitted with three shelves and two spice drawers.